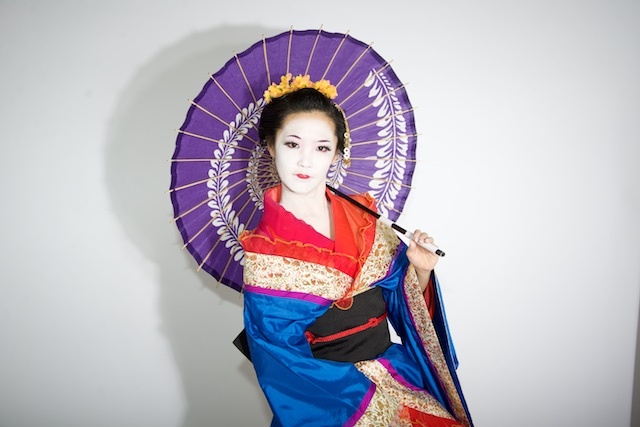 A beautiful Geisha falls in love with an American naval officer. Despite all cultural differences, they are getting married and enjoy a brief time of sexual and sensual bliss. But the distance inbetween their values and views proves too great for the connection to last, and finally, even a child cannot rescue their relationship. Will this love story turn into tragedy? Love and Passion, Trust and Treachery; the relation between the cultures and the sexes; those are timeless topics, as essential now and here as they were in Japan a century ago. Sana Sakura, the beautiful and gifted performer that brought us thrilling entertainment with her shows about Japanese demons, goblins and super-cute Manga girls, is taking her audience away from everyday life – into lands and times unknown!